We’re going more and more mainstream every week, and the newest Time magazine cover featuring transgender actress Laverne Cox is yet one more major step forward. The link below features a couple of video links of Ms. Cox talking about her life, as well as a substantial interview with her. 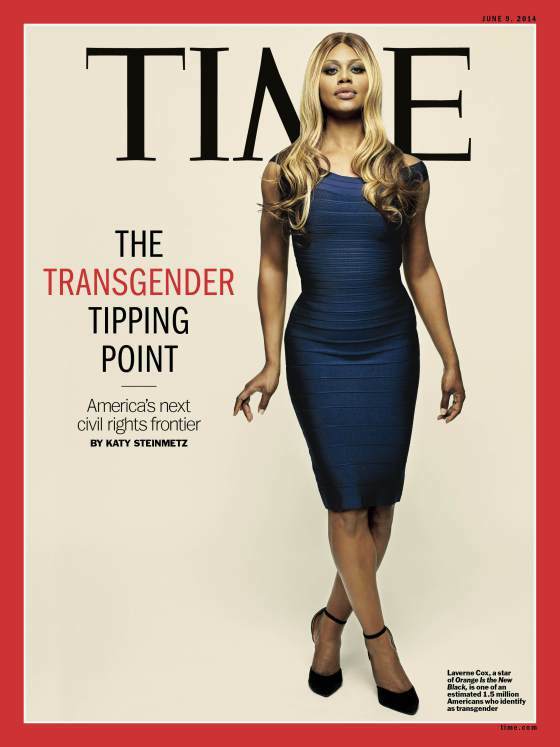 Laverne Cox Talks to TIME About the Transgender Movement | TIME. This entry was posted in Activism, Entertainment, Testamonial and tagged laverne cox, time on May 29, 2014 by .